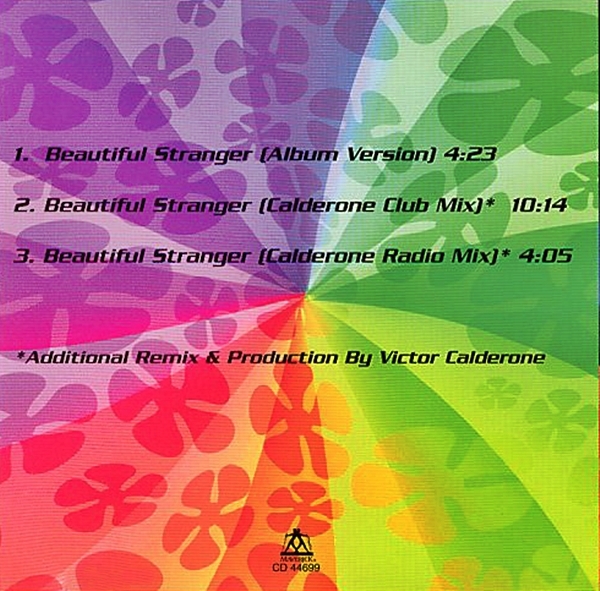 On July 26 1999, Beautiful Stranger hit #1 for the first of two weeks on the Top 100 Canadian Singles chart published by RPM. 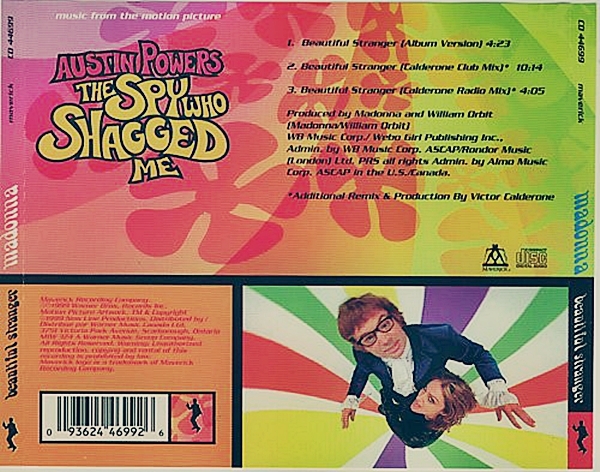 In the U.S. a commercial single had been withheld for Beautiful Stranger to drive sales of Maverick Records’ Austin Powers: The Spy Who Shagged Me soundtrack album, limiting the song’s chart potential on the Hot 100 despite favorable support from radio. In a rare move, Warner Music Canada opted against following the lead of its U.S. counterpart and instead released the song as a CD maxi-single on July 20th, 1999. During the week of its release, Beautiful Stranger was spending a second week at #4 on the Canadian singles chart based on the strength of its airplay alone, however the loss of its bullet indicated that it had likely peaked at radio. Fortunately, the added boost from sales of the domestic maxi-single was enough to earn Madonna her 17th #1 single in Canada – her first since 1995’s Take A Bow, despite having achieved three Canadian top-5 hits in the interim between 1996 and 1998. 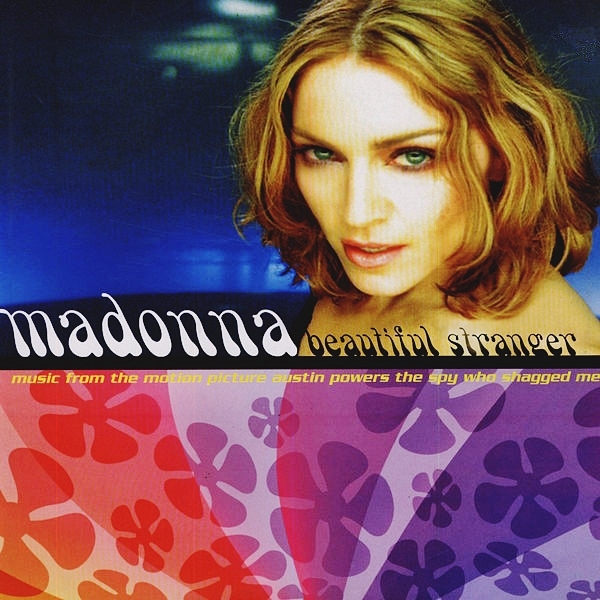 On May 1 1999, the music video for Madonna’s Beautiful Stranger was shot at Universal Studios in Universal City, California. Beautiful Stranger was directed by Brett Ratner, and went on to win an MTV Video Music Award for Best Video from a Film.